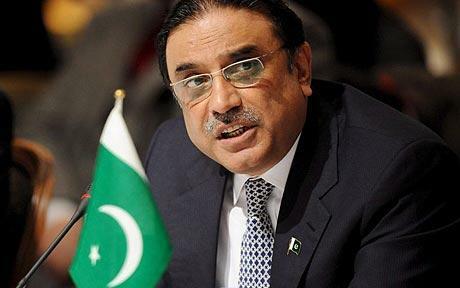 President Asif Ali Zardari has summoned the first session of the newly-elected National Assembly to meet in Islamabad on June 1, Saturday. Presidential spokesman Senator Farhatullah Babar said the president had signed the summary sent to him in this regard by the caretaker prime minister. The newly-elected members of the House will be administered oath in the first session. The outgoing speaker, Dr Fahmida Mirza, will administer the oath. Later, the speaker will announce the schedule for the election of the new speaker and deputy speaker, which will be held on Monday. The PML-N, which is the single largest party in the House, has not yet finalised the names of the candidates for speaker and deputy speaker. However‚ the Tehreek-e-Insaf has nominated Shehryar Afridi for the position of speaker and Munazza Hassan for deputy speaker. The newly-elected House is expected to elect its new leader on June 5 and it is almost final that PML-N chief Nawaz Sharif will be elected the new prime minister.